Composer Jessica Curry, who most recently worked on Everybody’s Gone to the Rapture, has announced she’s (sort of) leaving The Chinese Room. There’s more on her mind, though. In a blog post, Curry pulled no punches when talking about her negative experiences working with Sony, how the industry devalues the contributions of women, and more. 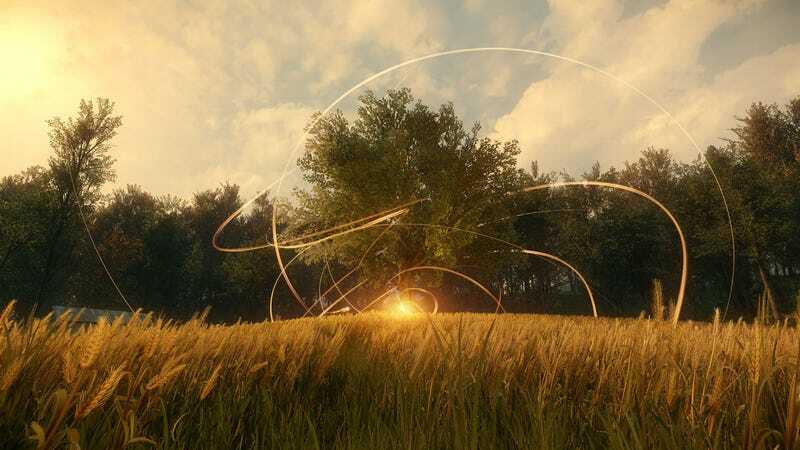 Everybody’s Gone to the Rapture was the first major console release by The Chinese Room, a quiet and contemplative story about what happens when everybody in a small town just...disappears. A game about exploration, it very much followed in the footsteps of their previous work, notably Dear Esther and Amnesia: A Machine For Pigs. Kotaku’s Chris Suellentrop called it one of the year’s best games. Good game or no, the process of making it was extremely difficult for Curry. “This is a horribly hard post to write,” she wrote. Curry will remain a company director at The Chinese Room and likely write music for upcoming games. Given that she’s married to co-founder Dan Pinchbeck and has an office at the studio, she’s not entirely leaving it behind. But, for now, she’s looking to contribute music for games not made by The Chinese Room, and work on a “large-scale music project” with Carol Ann Duffy. There were a number of factors leading up to this decision. Curry suffers from a degenerative disease whose specific ailment goes unmentioned in the post, but it’s something she’s dealt with for a long time. “It forced me to re-evaluate what the hell I was doing to myself,” she wrote, “and more importantly the effect I was having on my husband and son. I can’t keep running and it’s time to admit that to myself and to everyone who loves me. Working with a publisher was, apparently, a reason Everybody’s Gone to the Rapture was troubled. Curry doesn’t explicitly name Sony, but the post is within the context of their most recent project, which was funded by the company. Sony has not responded to my request for comment. She encouraged other game developers to push back on the demands of publishers, hoping a collective movement might result in some real changes. If you’re interested in reading more about the realities of game development, make sure to read Jason Schreier’s piece on video game crunch, this essay by anonymous game developer lamenting publishers, and another piece by Jason that explores why so many developers get laid off. It’s a rough world. Lastly, Curry expressed frustration at being a woman in video games, exhausted at how often she had to prove that she was more than the wife of a developer. It’s at this point Curry cited a story about Everybody’s Gone to the Rapture’s development, in which one of her ideas was pitched at meeting with Sony. Curry attributed some of this to her desire to stay out of the spotlight, leading to assumptions Pinchbeck was the creative braintrust at The Chinese Room. These moments have lead Curry to believe that earning credit means going independent. Curry and Pinchbeck are staying married, but she’s creatively stepping away. She ended her post with a call to arms for taking ownership of your life.